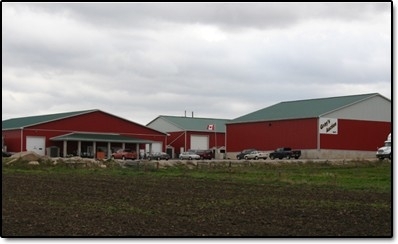 Gray's Auction Service Inc. is located on the southeast corner of Highways 87 & 23, 1 mile west of Harriston Ontario. North on Hwy 4 from London. Turn left (E) onto Hwy 7. In Stratford, turn right (NW) on Hwy 8. Turn right (NE) onto Highway 23 in Mitchell. Continue right (E) and then left at the second lights (NE) on Hwy 23 in Listowel. Continue left (N) on Hwy 23 just before Palmerston and continue until you have reached your destination on the right. Southeast on Hwy 86 from Lucknow. Continue on Hwy 86 through Wingham. At Bluevale, continue left (W) on Hwy 87 until you see your destination prior to Harriston. Turn right (S) onto Hwy 23 to enter Gray's Auction. Northwest on Hwy 6 from Guelph. 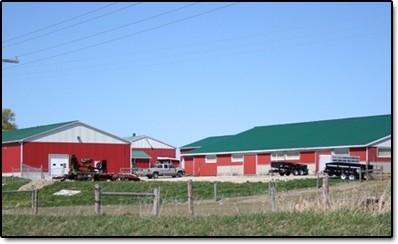 Jog right and then left to continue on Hwy 6 (NW) in Fergus. Turn left (W) on Hwy 109 at Arthur. Turn right (N) on Hwy 23 after Palmerston and continue until you have reached your destination on the right. From Alliston, drive east on Hwy 89 through Shelburne & Mount Forest and into Harriston. Continue through Harriston and turn right at the junction with Hwy 23. The entrance to Gray's Auction is on your left. East on Hwy 9 from Kincardine. Turn right (S) in Walkerton to continue on Hwy 9. Follow Hwy 9 SE into Harriston and turn right at the lights. Continue through Harriston and turn right at the junction with Hwy 23. The entrance to Gray's Auction is on your left.